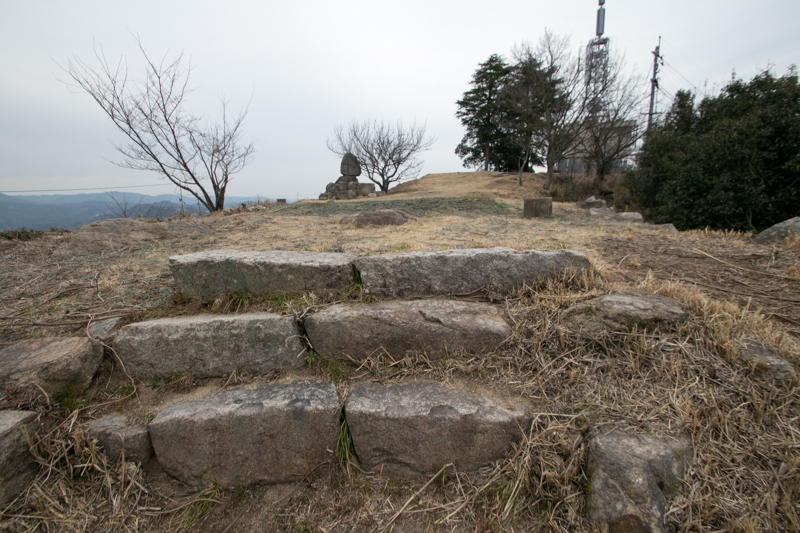 Sagata castle (相方城) is located at the top of Shiroyama mountain, a 191 meter mountain in Shinichi area, at the north part of Fukuyama city. 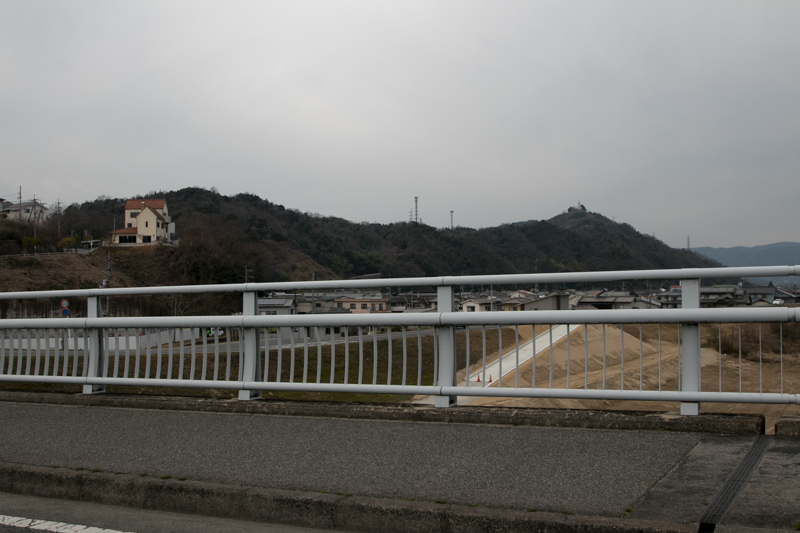 Current Sanyodo way (Route 2), a main artery connect Kansai region and Kyushu region runs through at the central area of Fukuyama city, nearer to seashore. 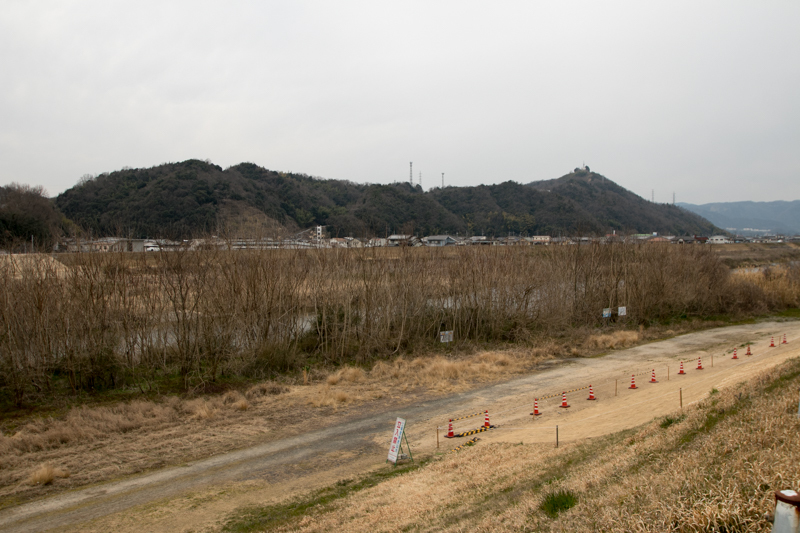 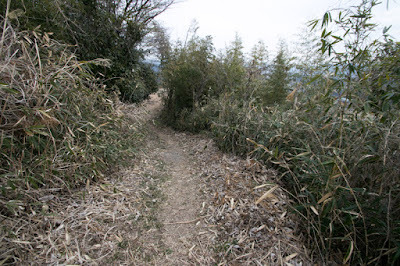 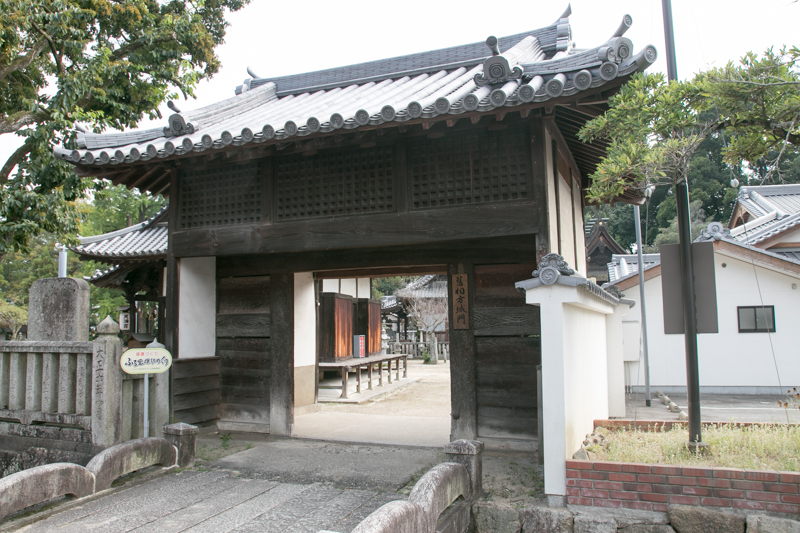 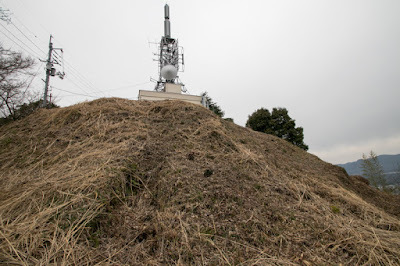 But Fukuyama area is a newly reclaimed area in Edo era, and prior to Edo era Sanyodo way around this area existed inland araa along with Asgudagawa river, the same route as Route 486 from Sojya city to Fuchu city. 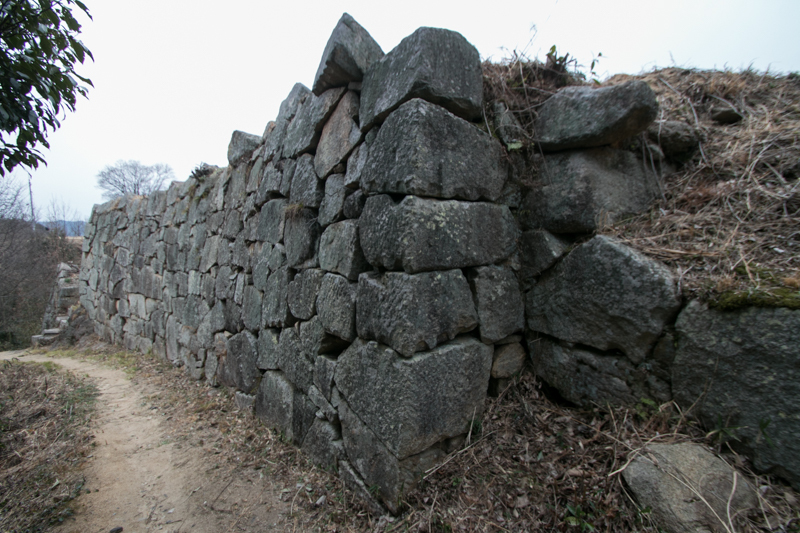 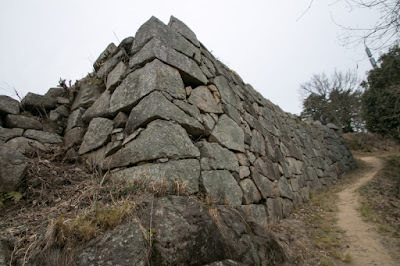 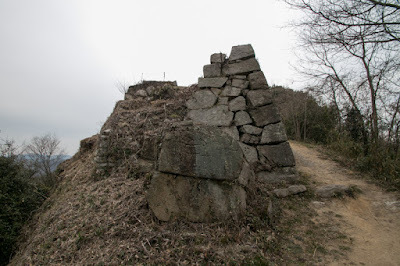 Sagata castle is located aside the nallow neck of Sanindo route, and was a suitable place to protect intrude from Bizen province and Bingo province (Okayama prefecture) into Aki province (Hiroshima prefecture), along with Kannabe castle located at 20 kilometer east of this castle. 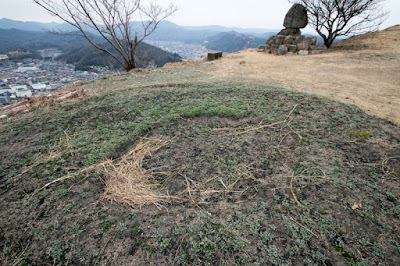 The precise year of construction is unknown, but it is said that Sagata castle was built by Miya clan or Arichi clan in the former half of 16th cemtury. When Motonari Mouri (x-x), a warlord of Aki province, expands their influence to Bingo country around 1560, Mouri clan expanded Sagata castle as a defense point of Aki province. 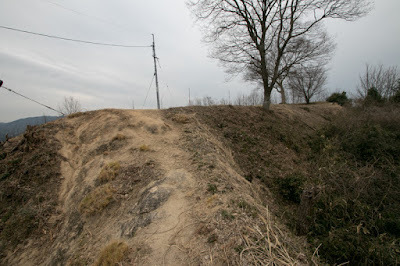 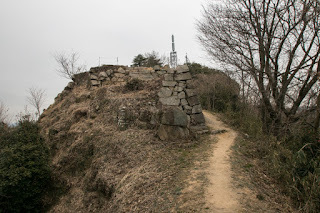 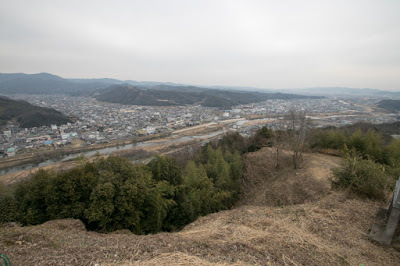 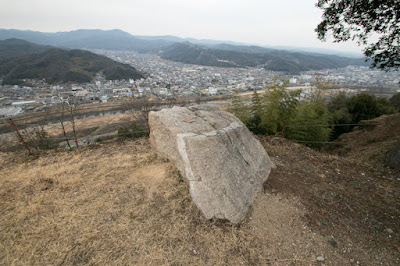 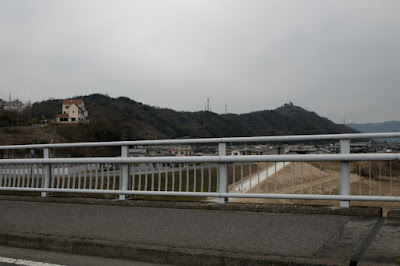 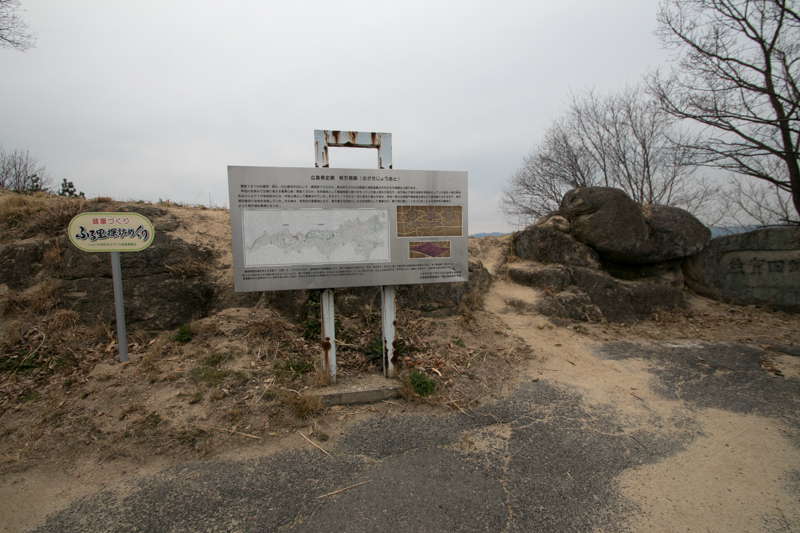 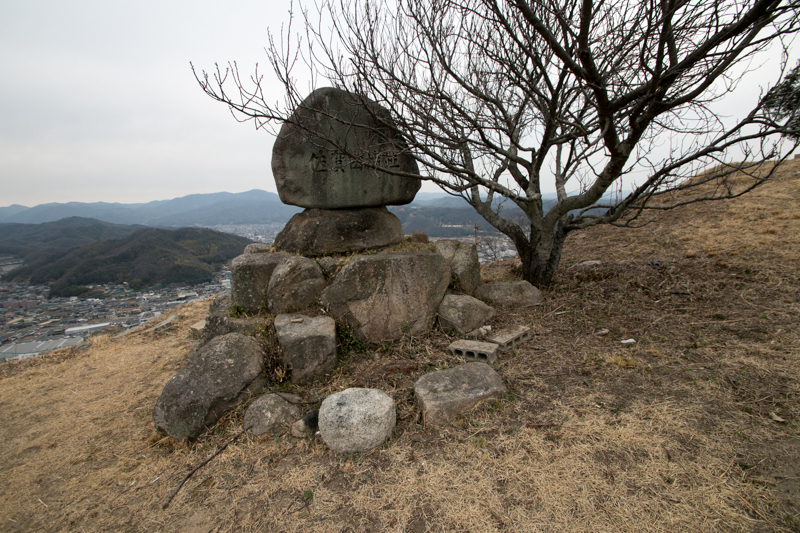 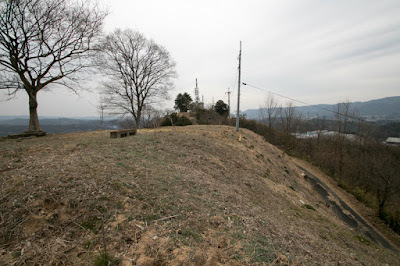 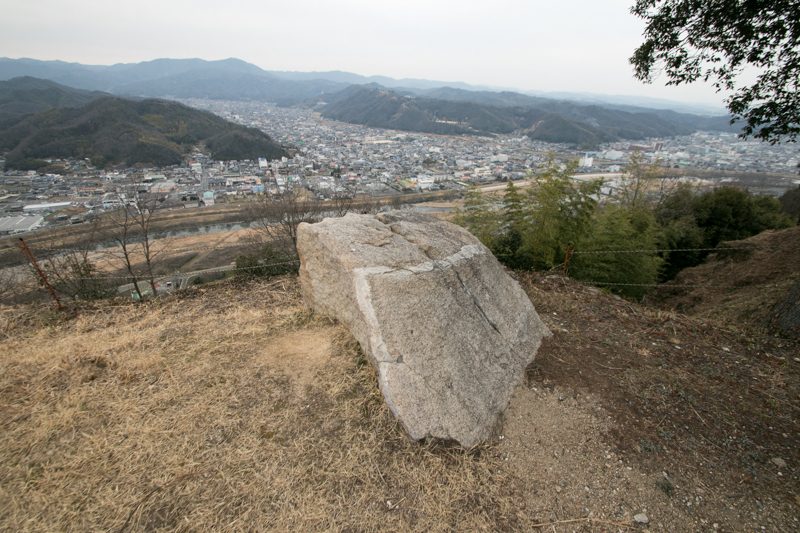 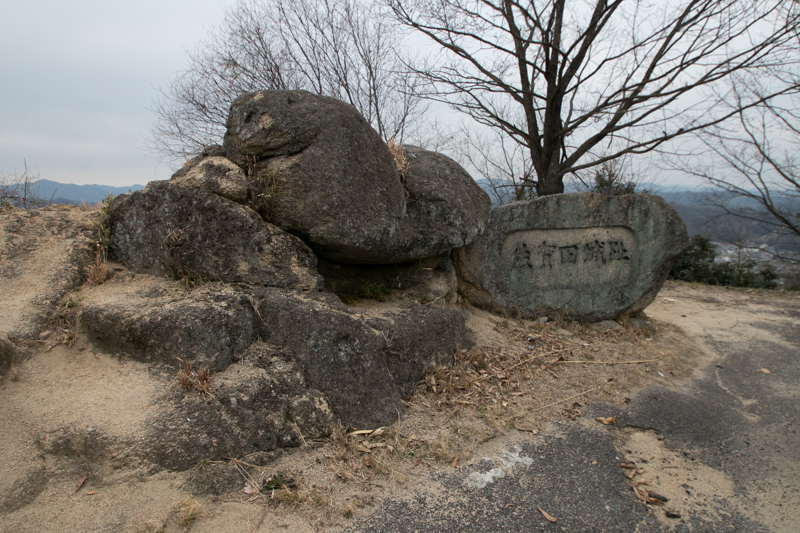 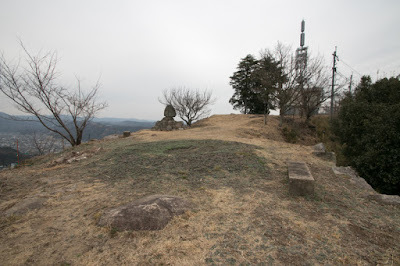 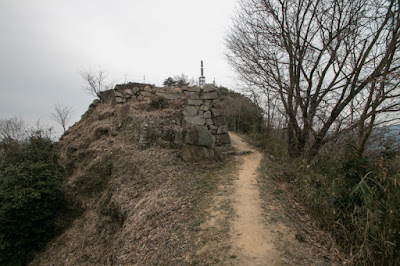 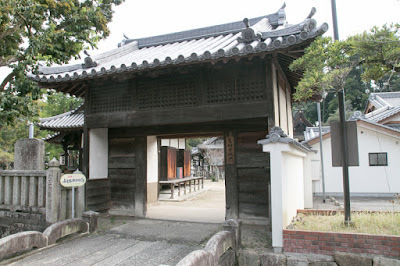 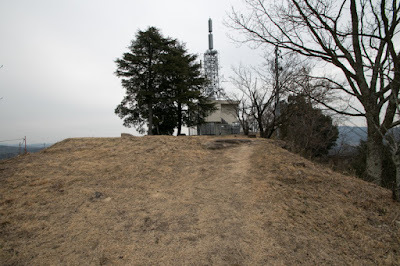 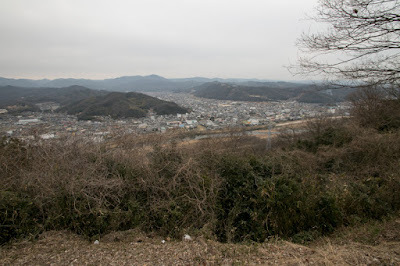 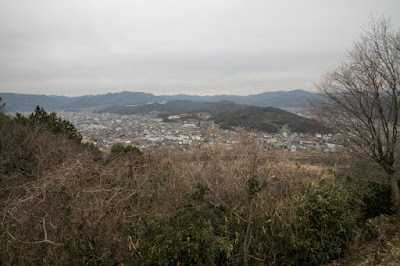 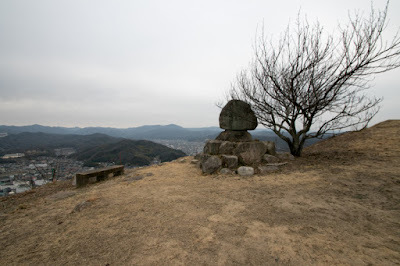 In 1582, as a result of the battle of Bicchu Takamatsu castle (Okayama prefecture), Mouri clan transferred Bicchu province to Hideyoshi Toyotomi (1537-1598) and Bingo province became the eastern border of Mouri clan. 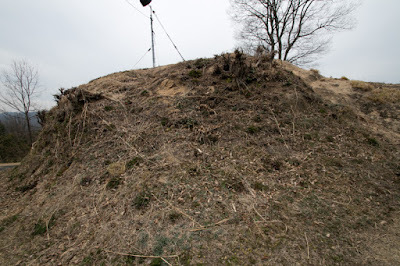 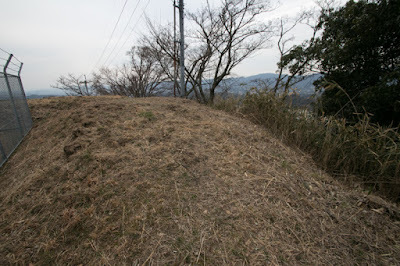 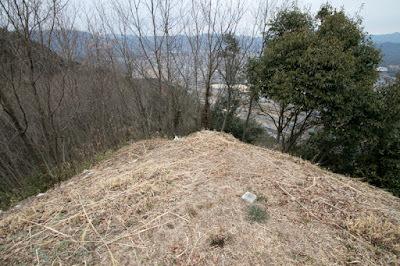 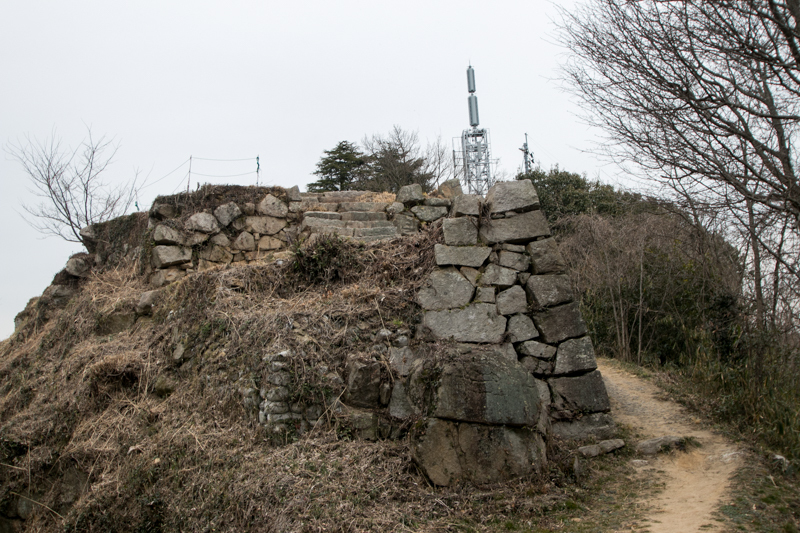 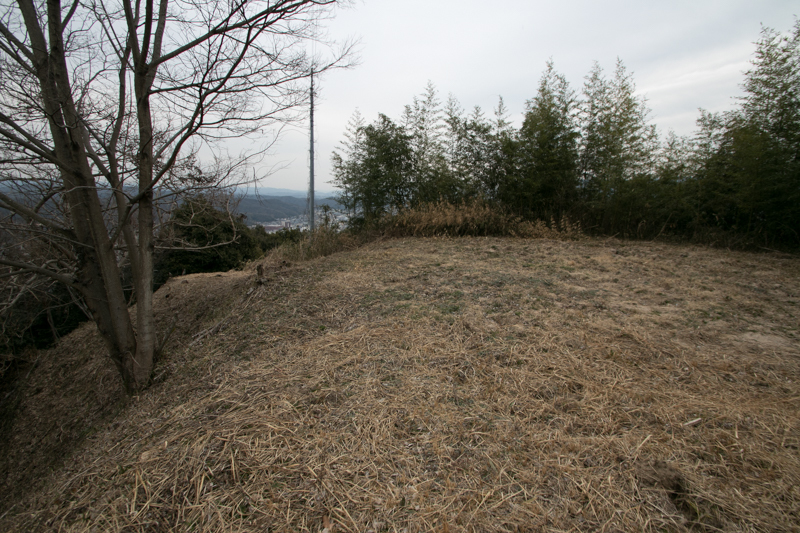 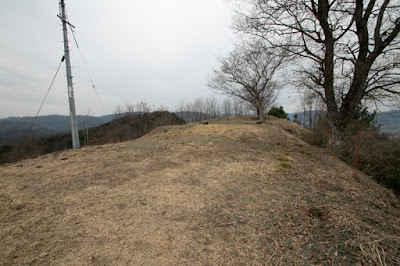 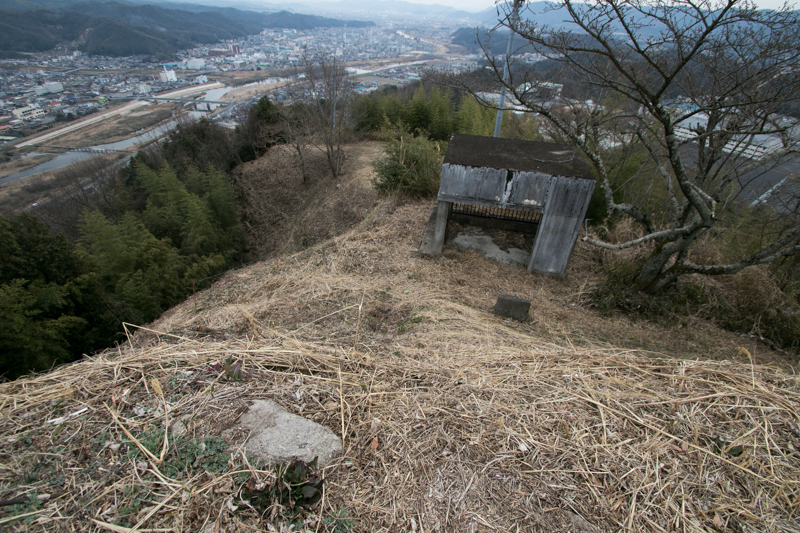 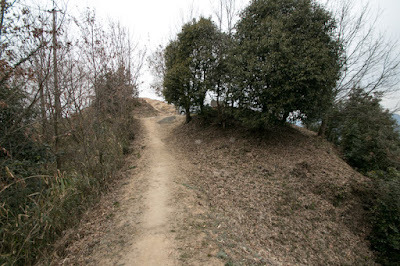 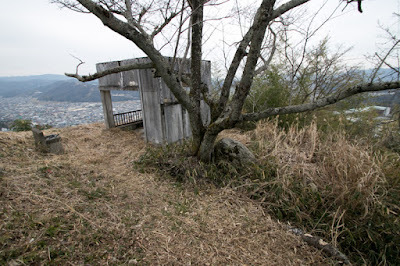 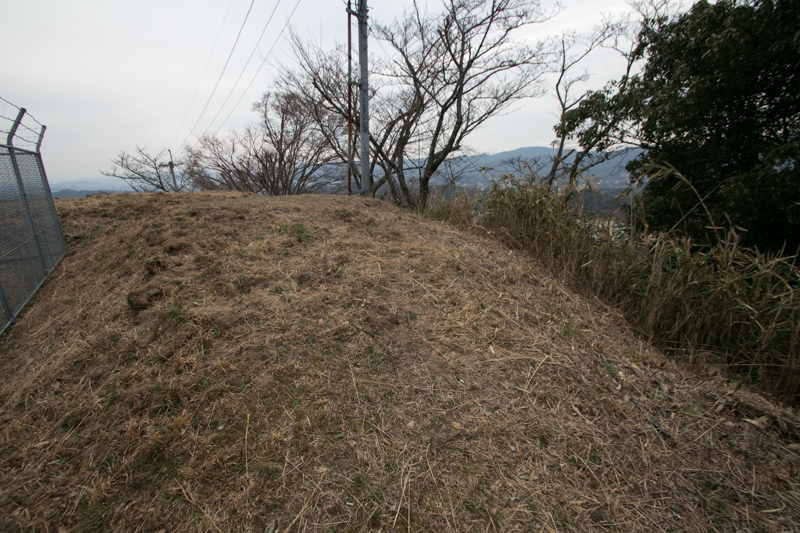 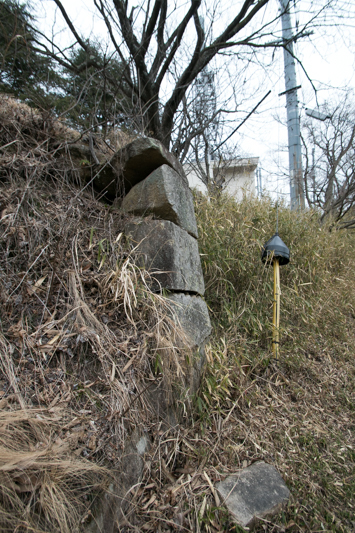 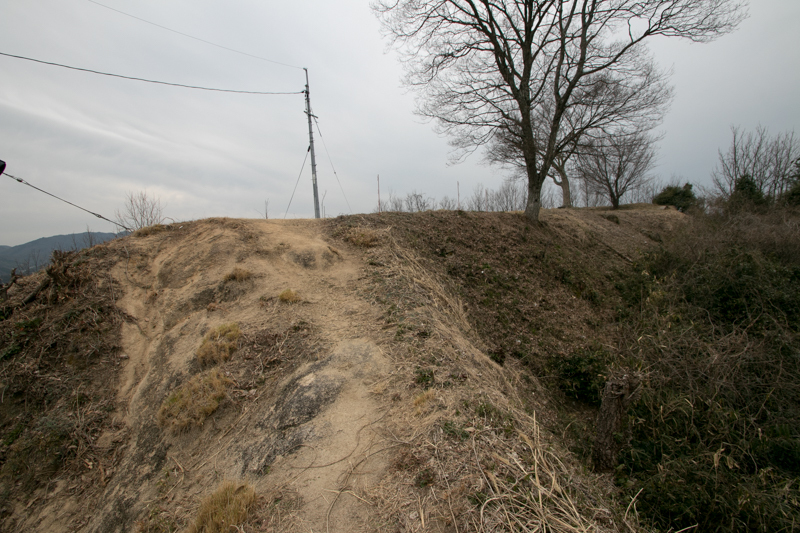 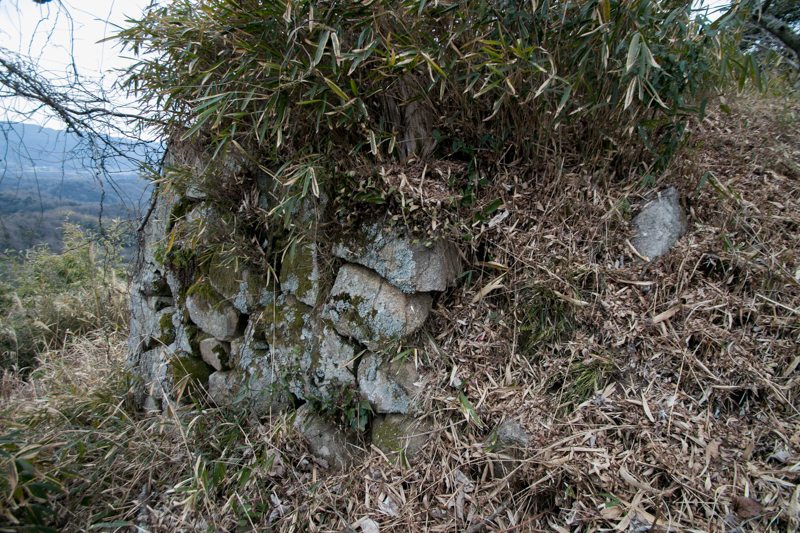 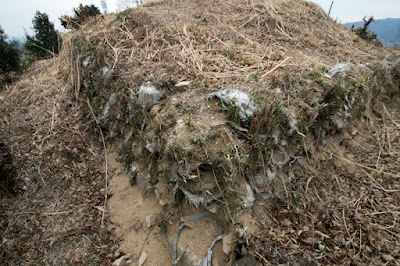 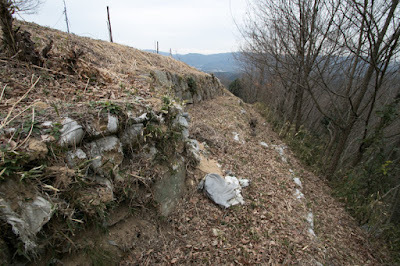 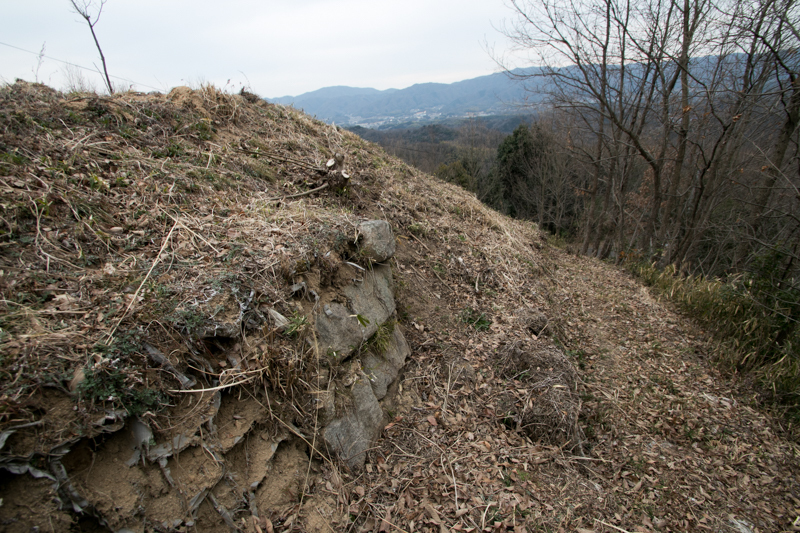 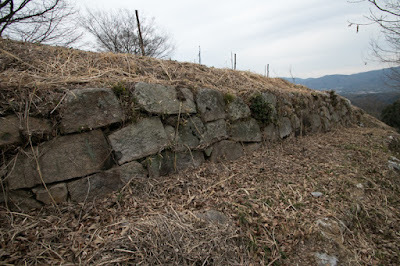 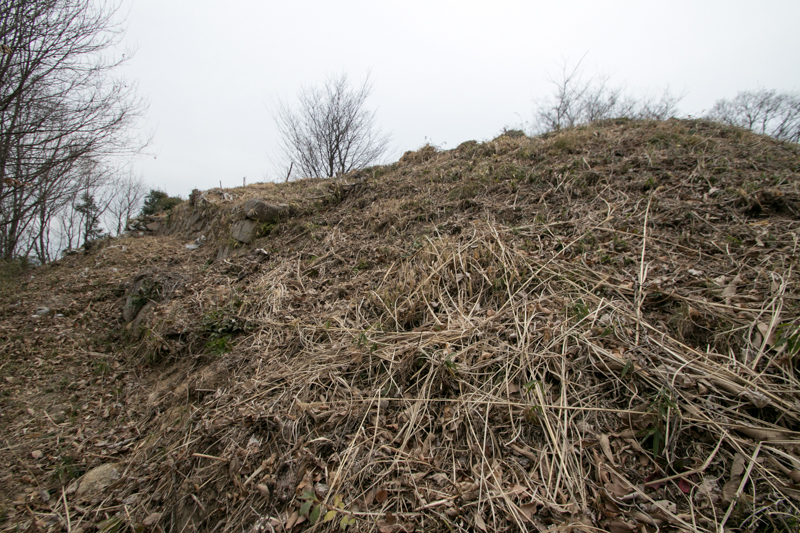 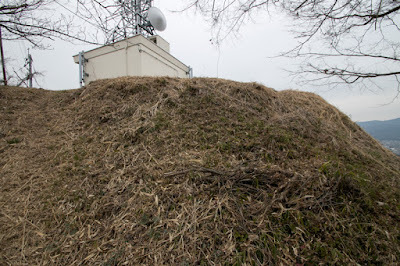 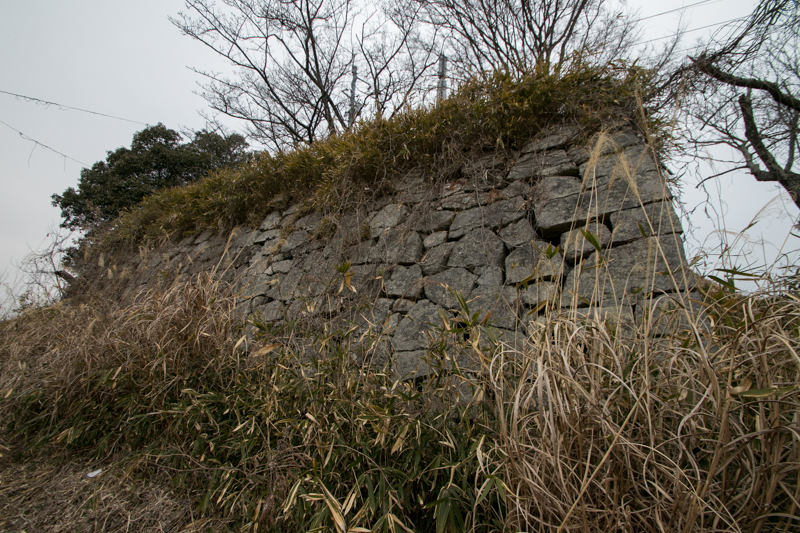 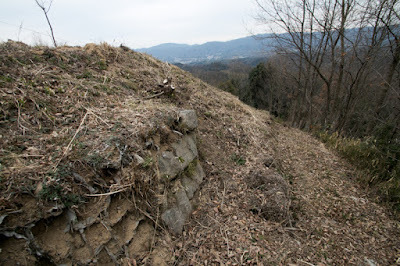 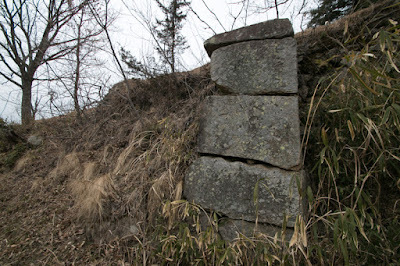 Thus Mouri clan further improved this castle as a defense point of their border. 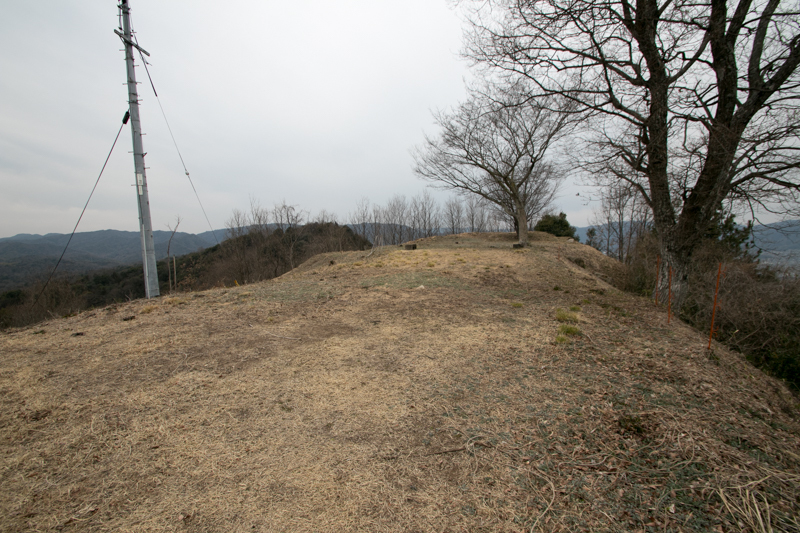 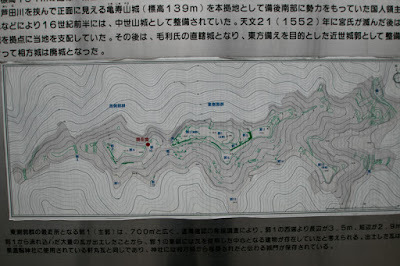 The total area of the castle spread the mountain exceeds 1,000 meter long, but major structures are concentrated on hilltop area. 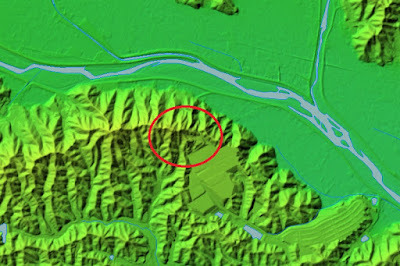 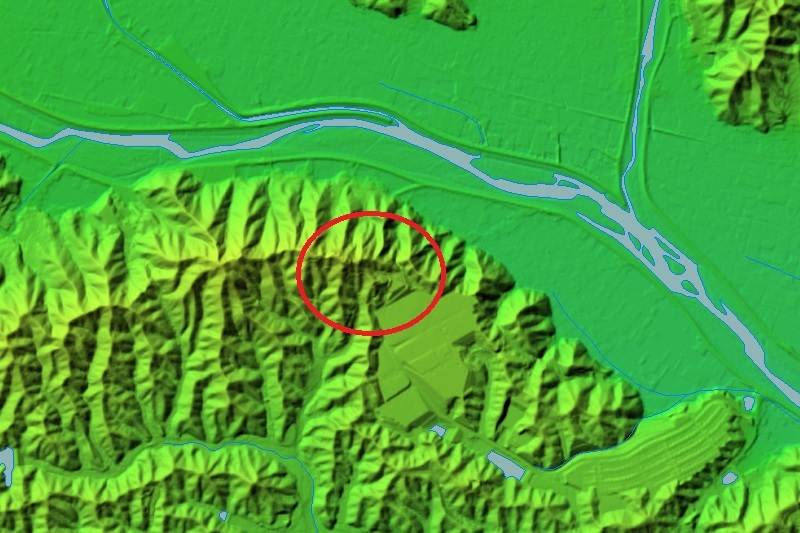 Central areas consist of eastern area and western area at the both side of small valley, and the eastern area is used as a main area. 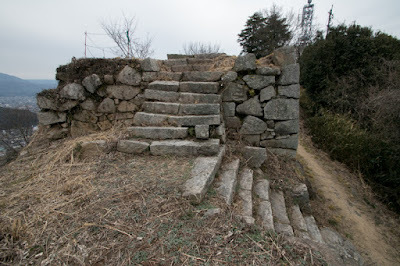 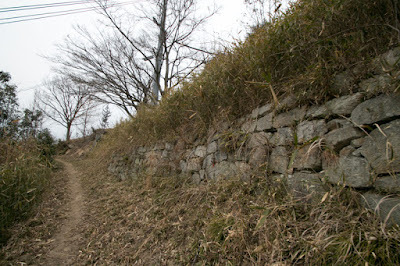 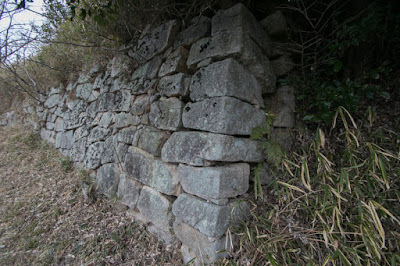 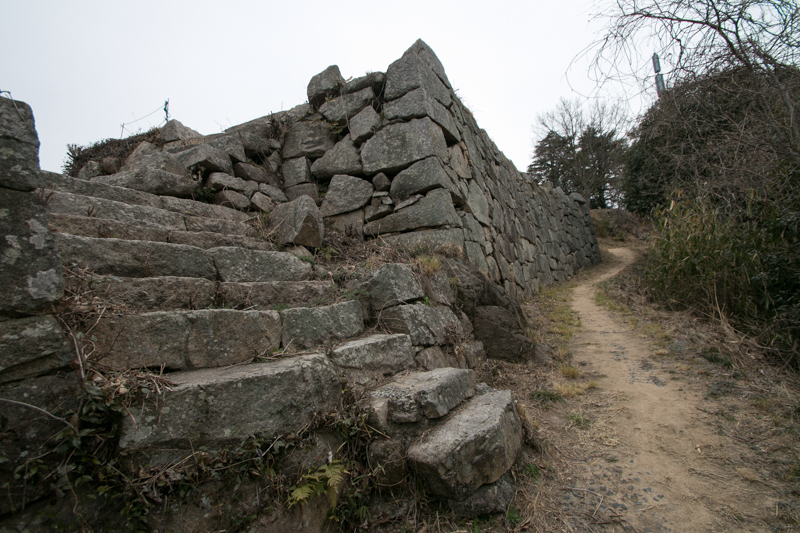 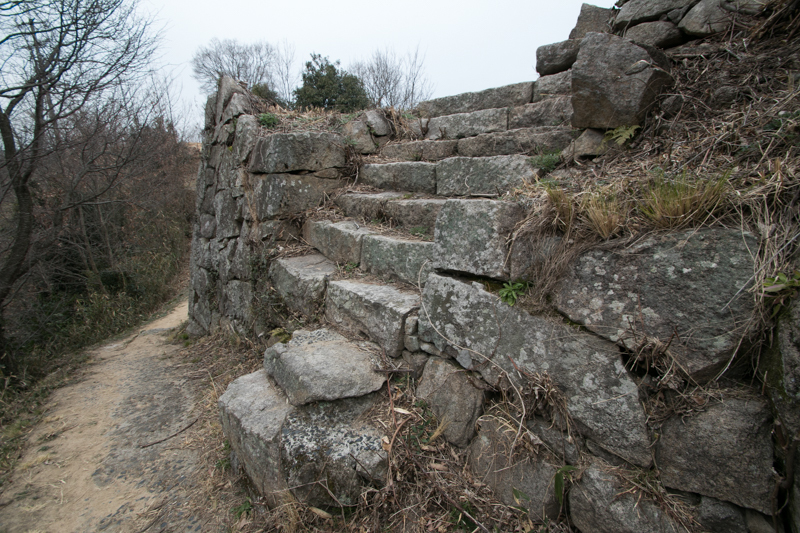 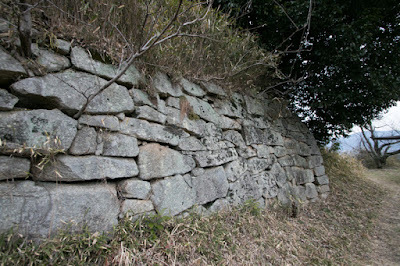 The wall of central area is covered with stone walls, and there are two entrances with stone steps in the stone wall. 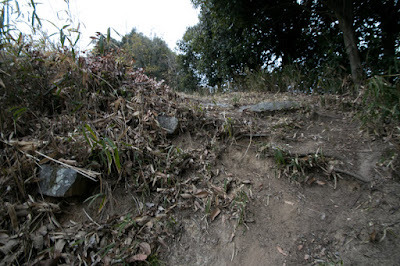 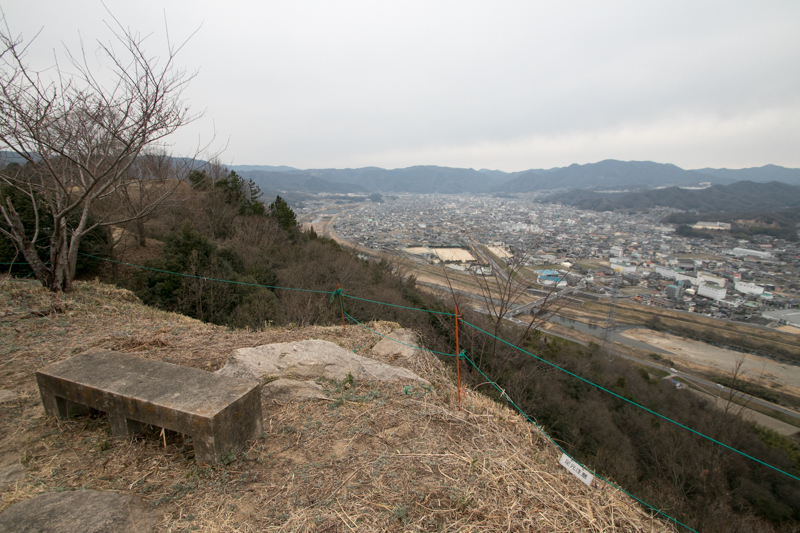 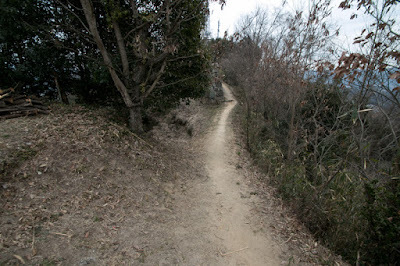 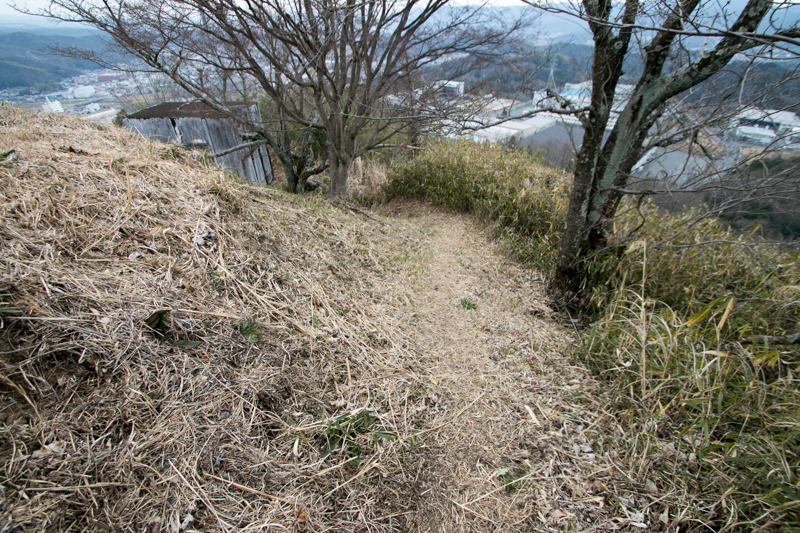 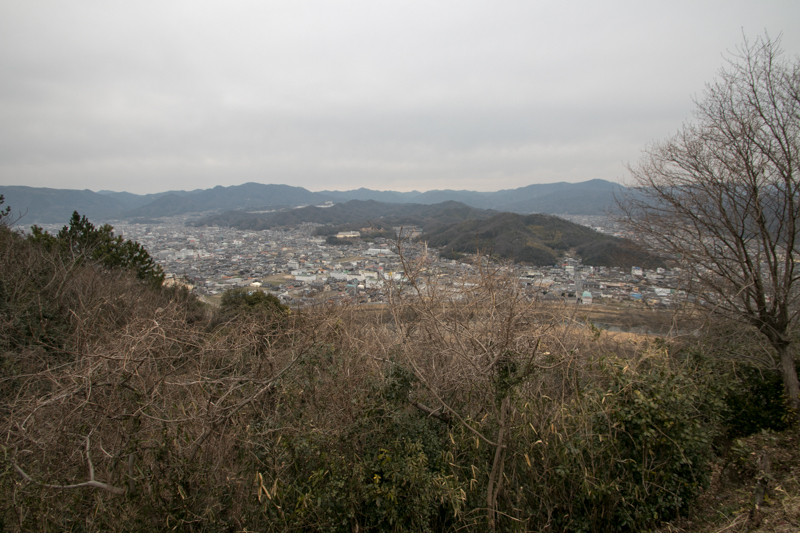 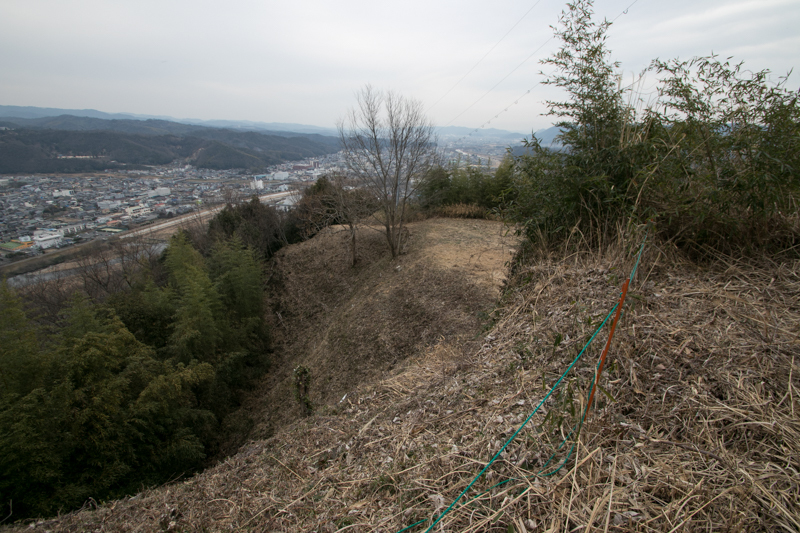 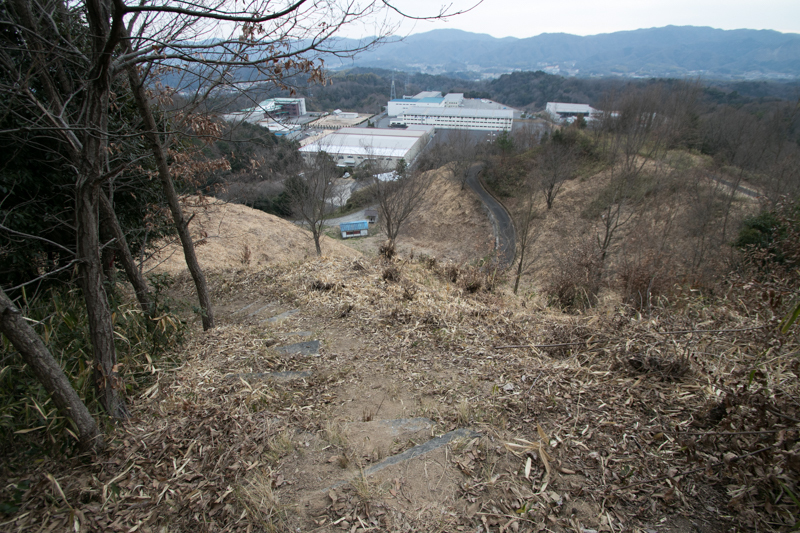 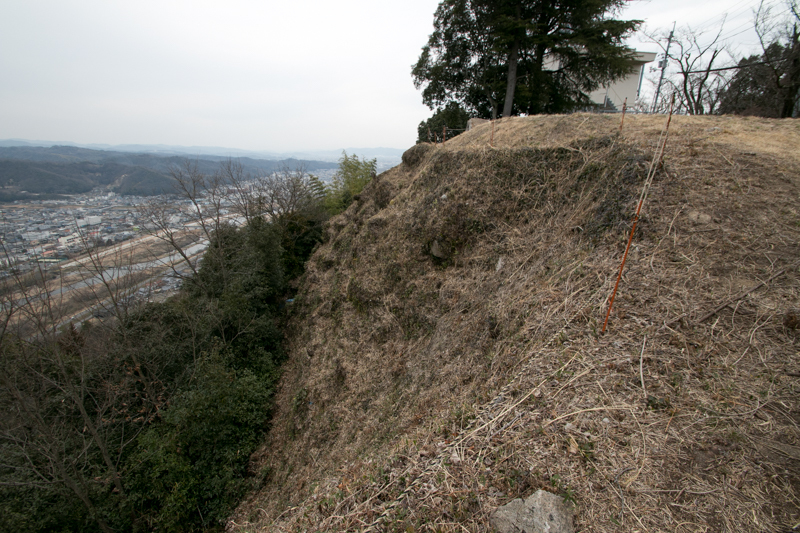 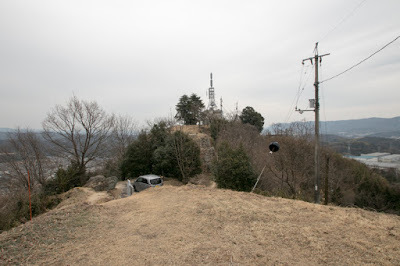 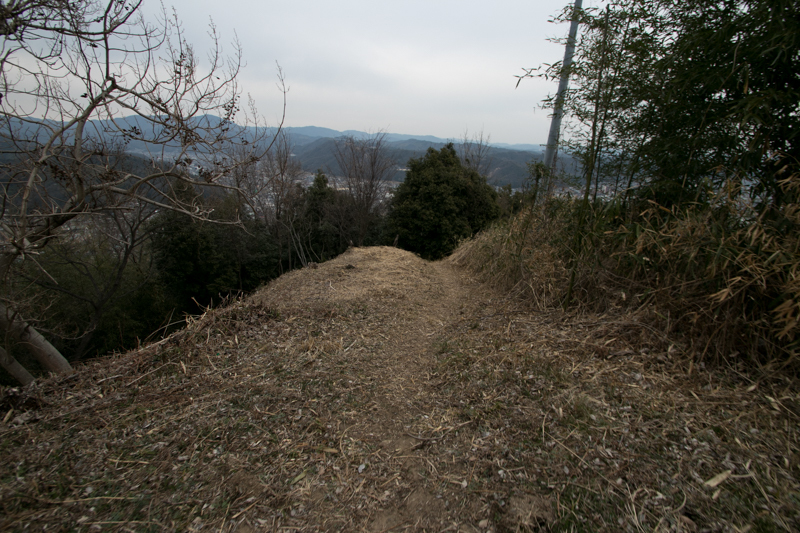 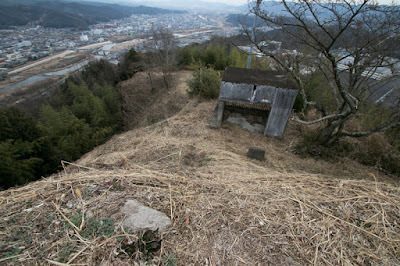 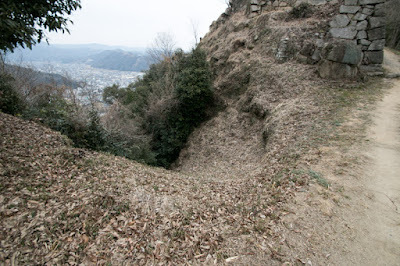 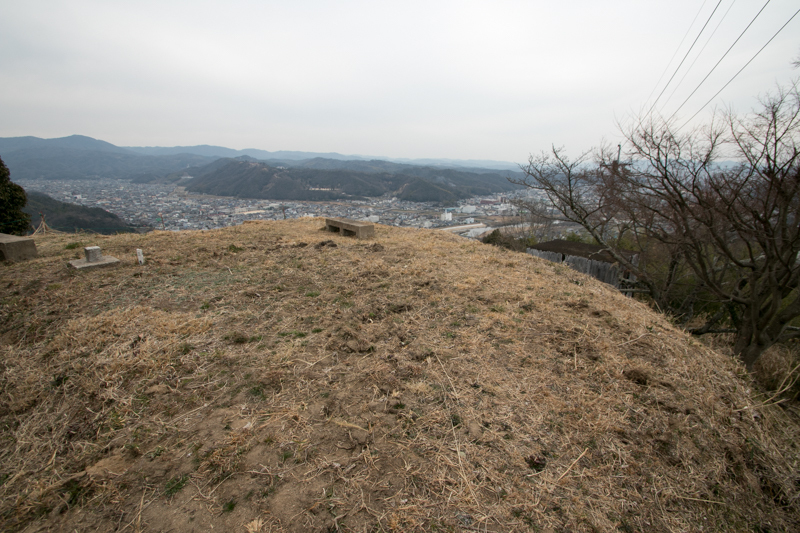 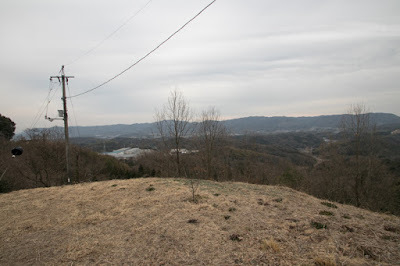 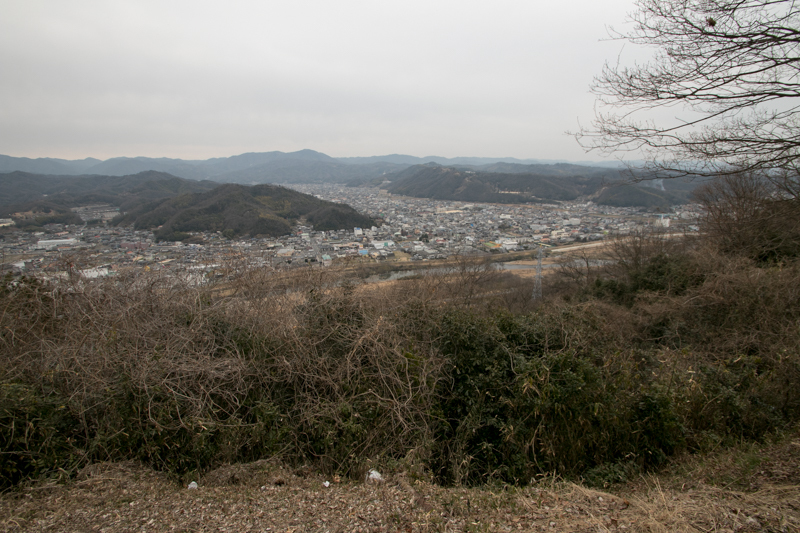 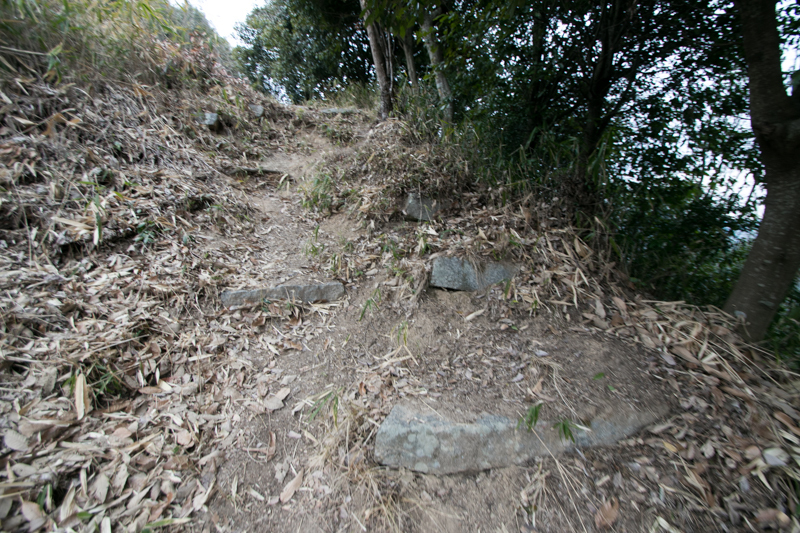 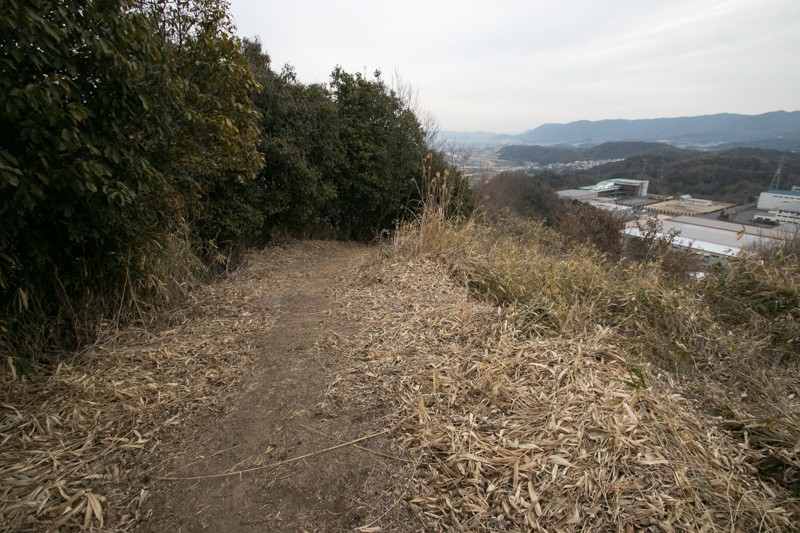 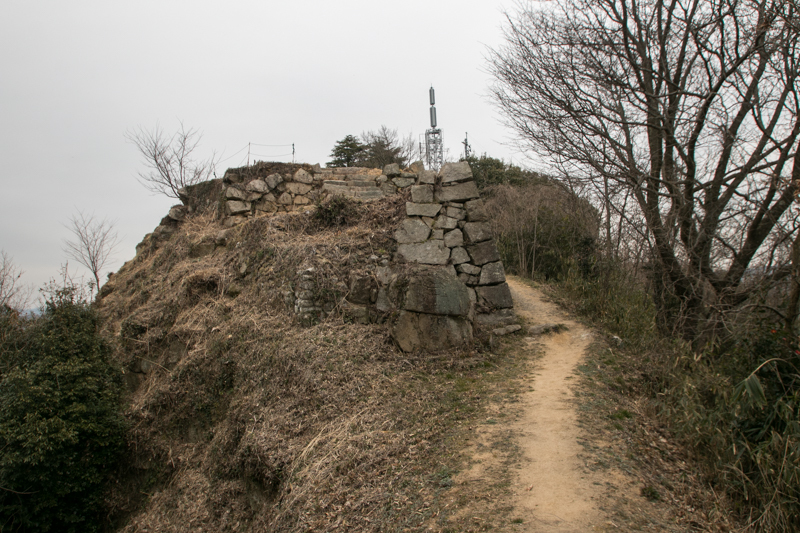 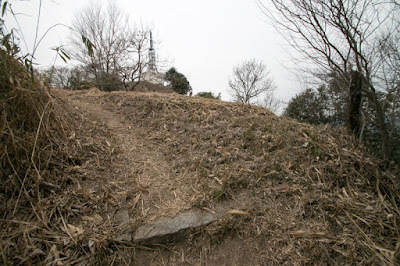 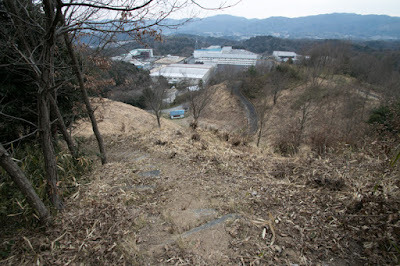 As these area located at a sheer cliff, from castle the scenery of below town and Sanindo way is well seen. In 1600, as a result of defeat at the battle of Sekigahara, Mouri clan lost Bingo and Aki country and Sagata castle was abolished. 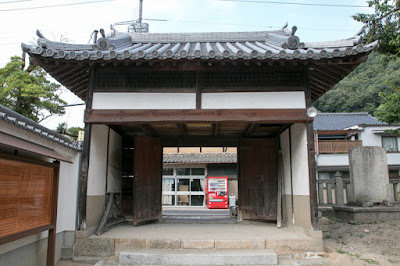 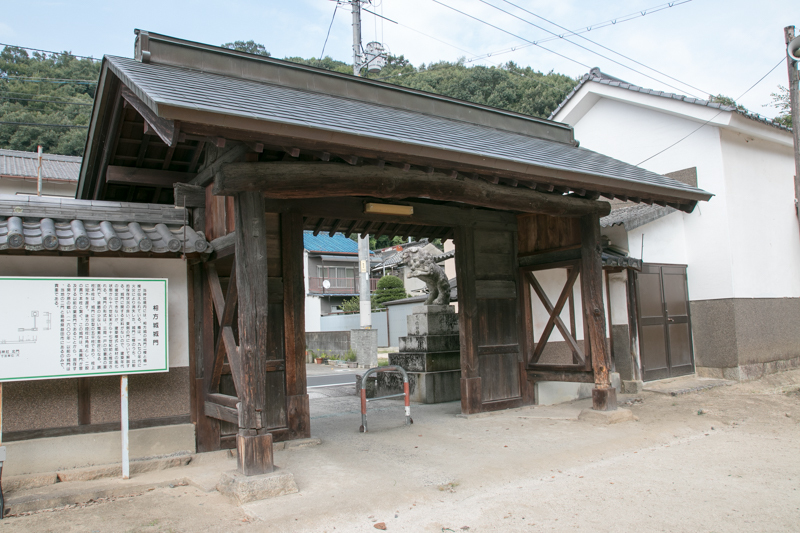 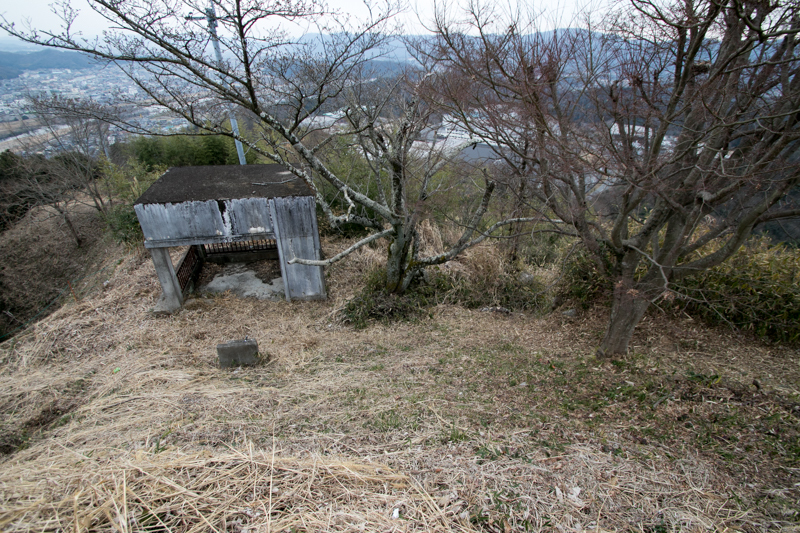 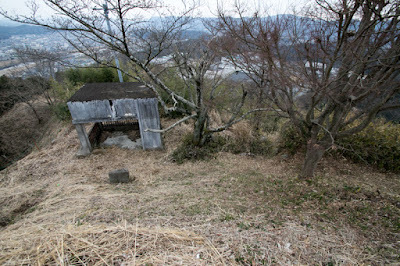 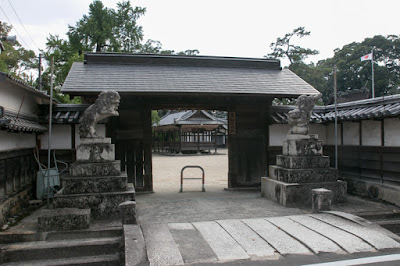 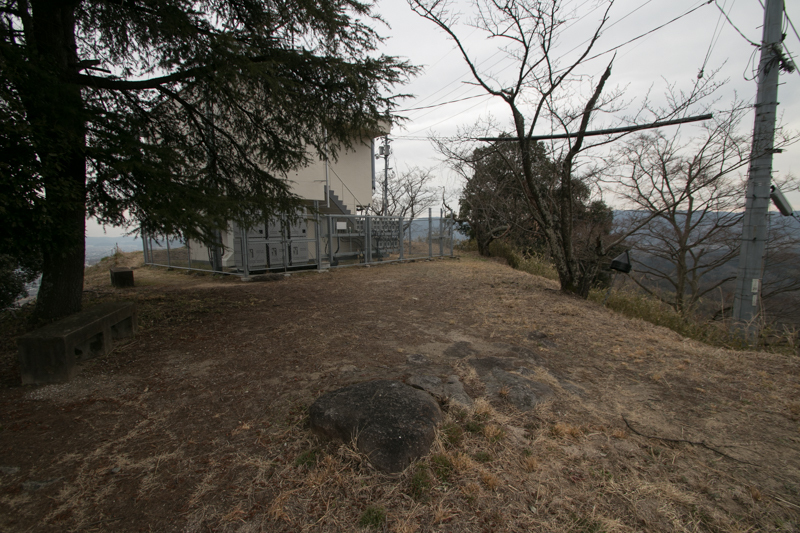 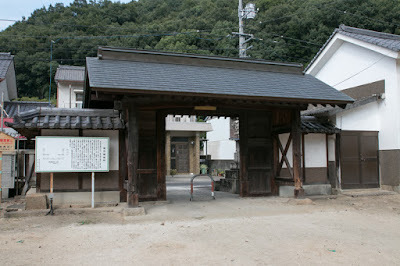 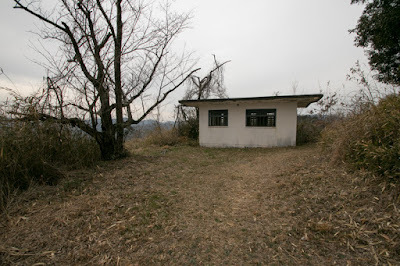 At the time of abolition two gates might be moved to neighbor Susanoo shrine and still remain. 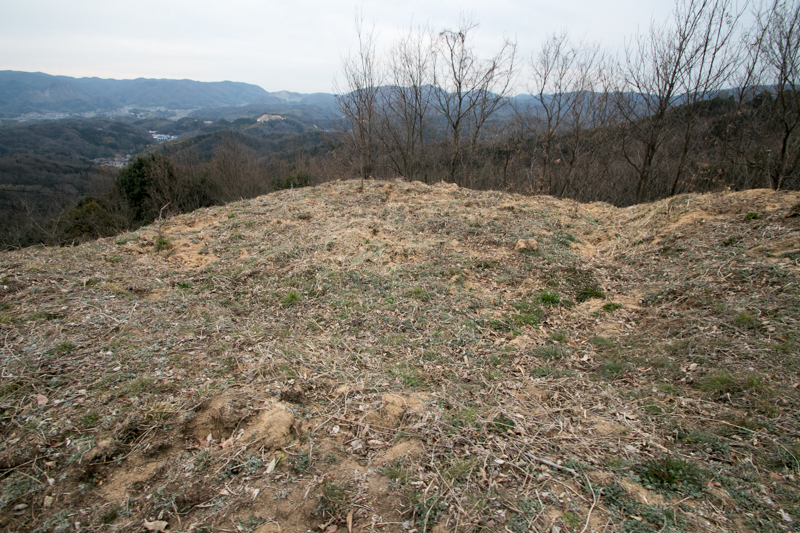 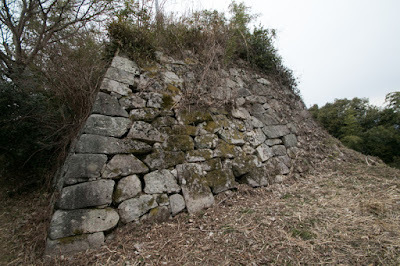 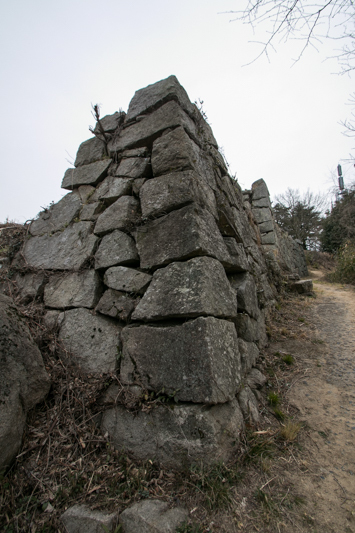 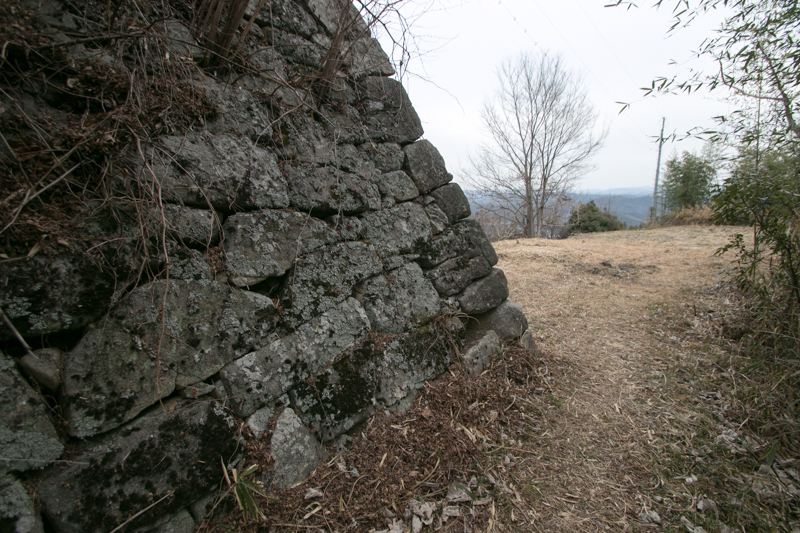 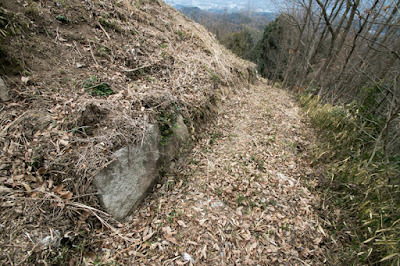 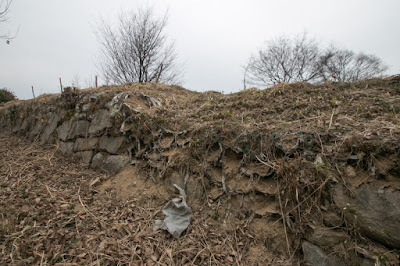 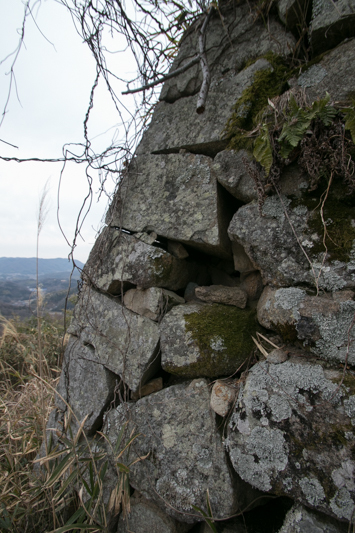 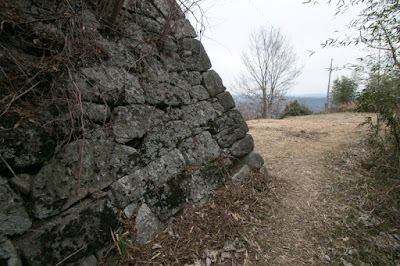 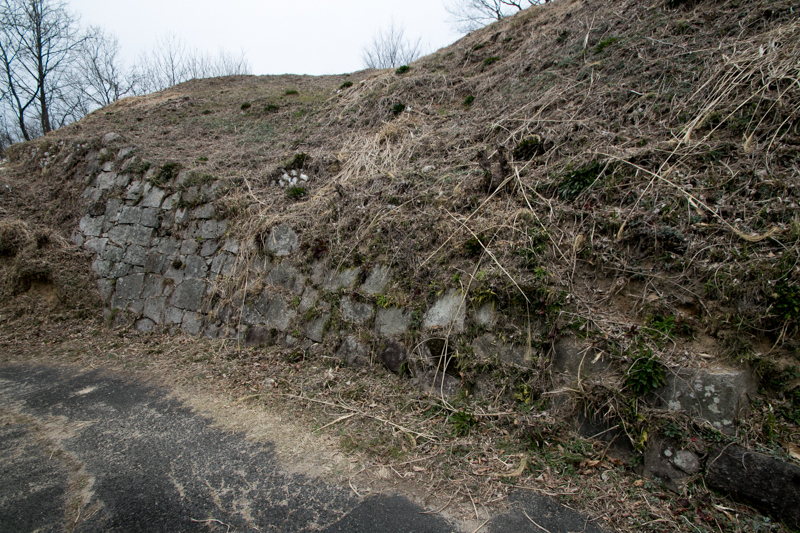 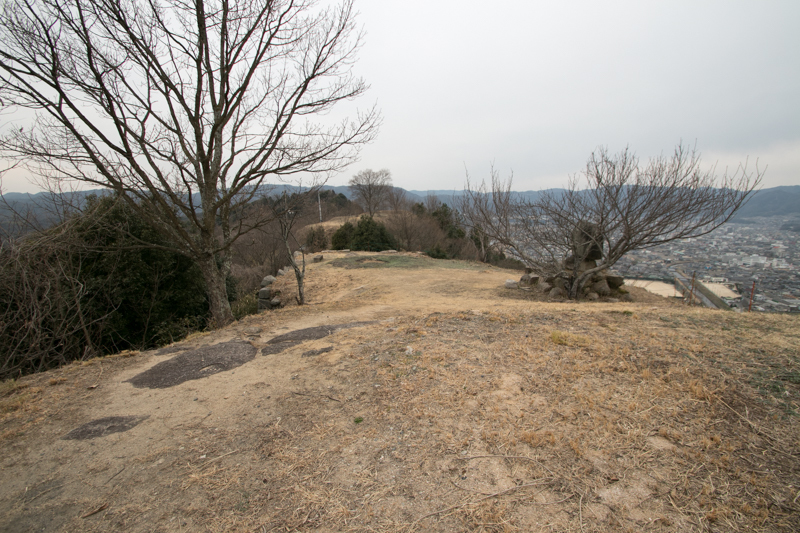 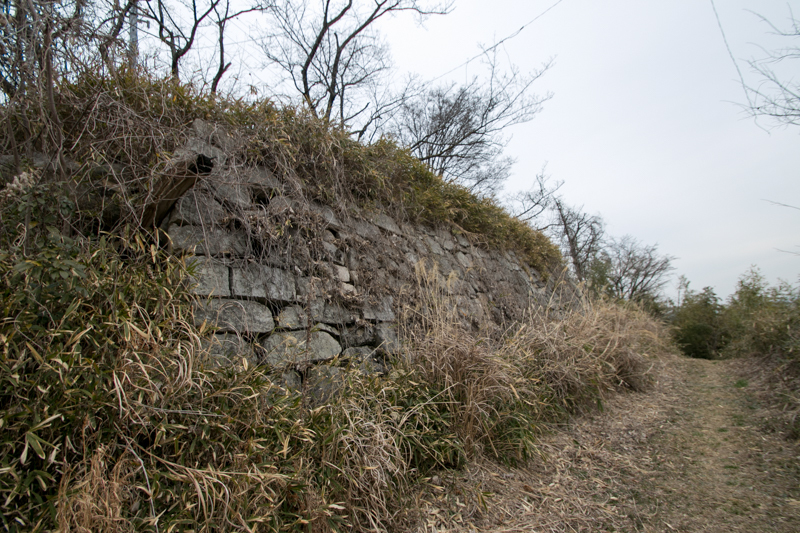 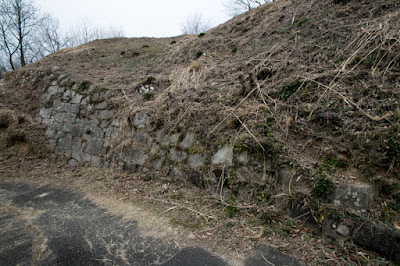 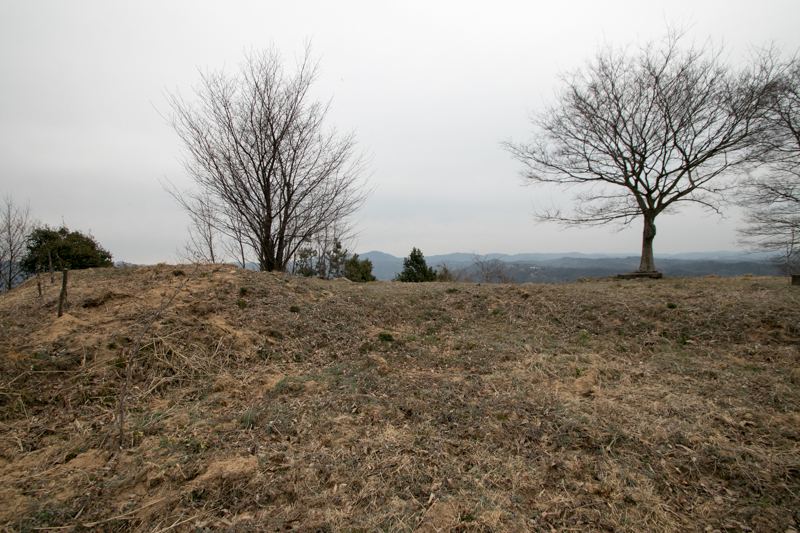 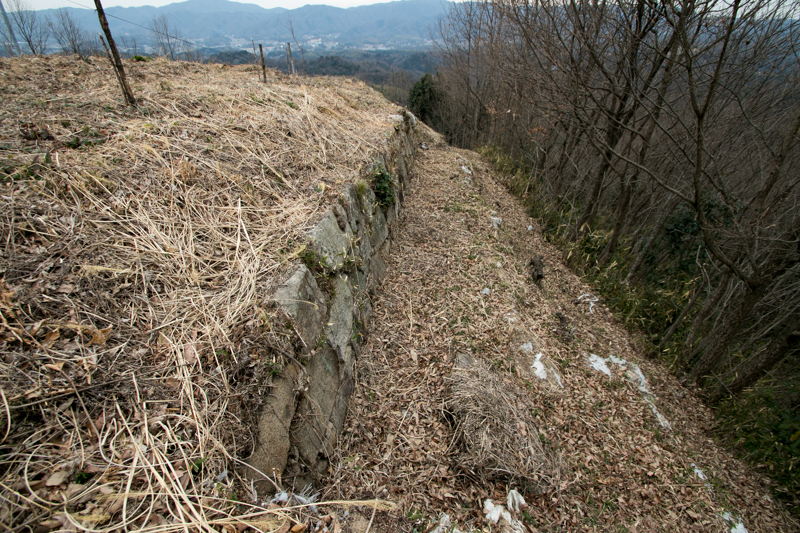 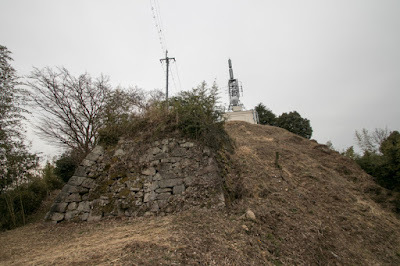 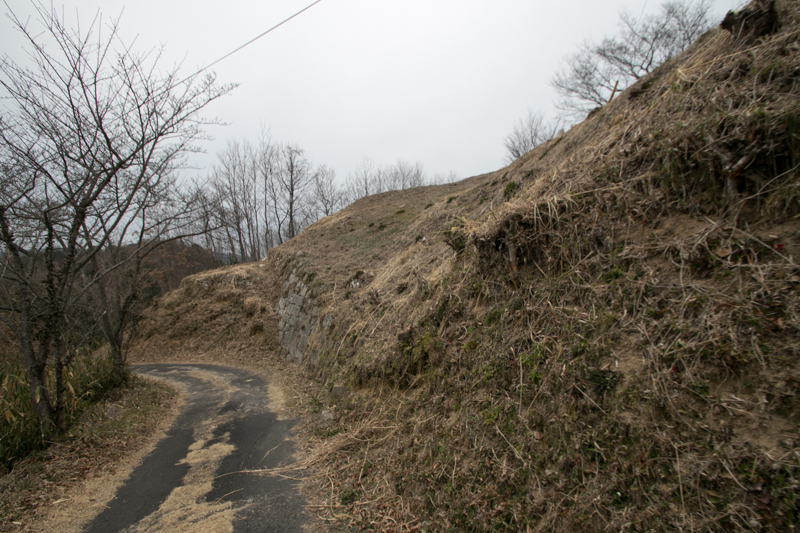 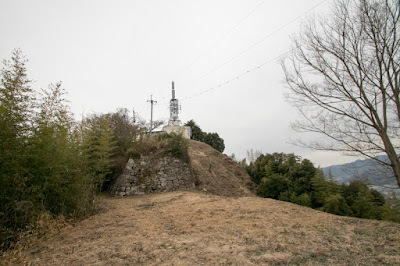 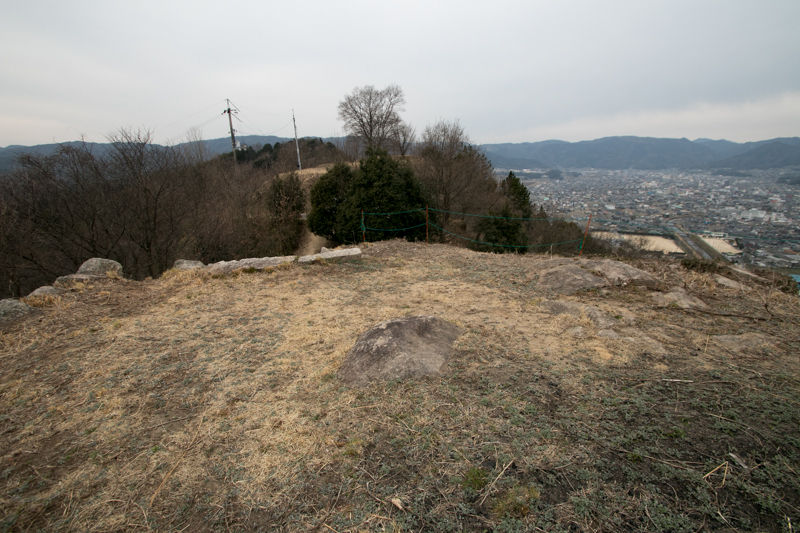 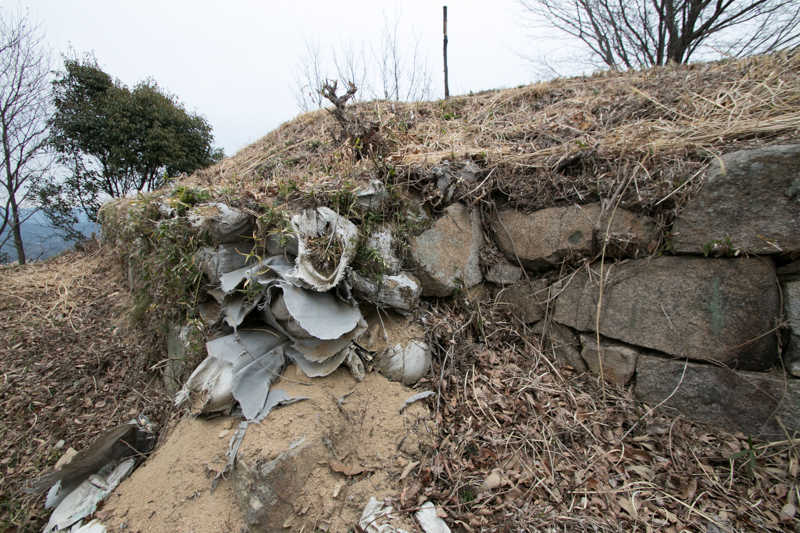 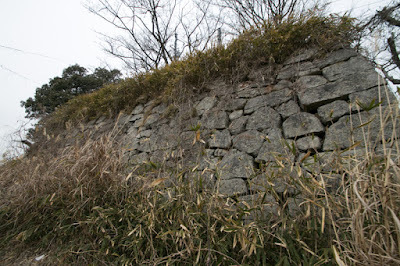 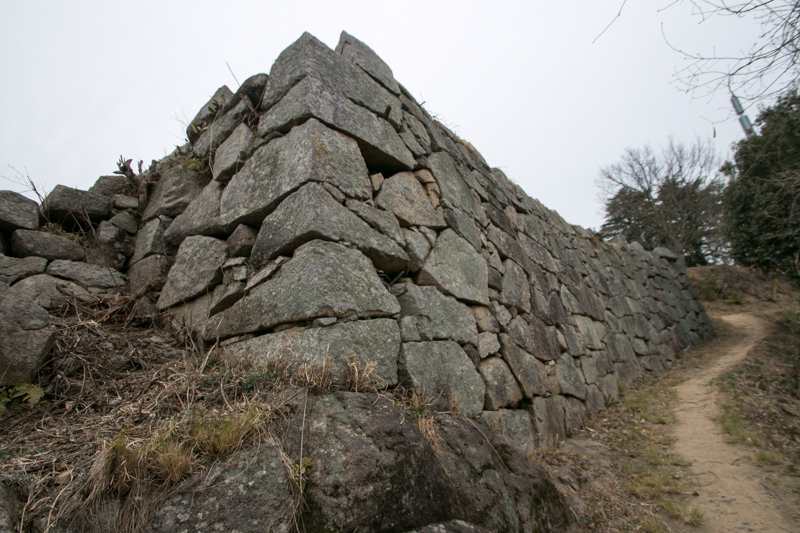 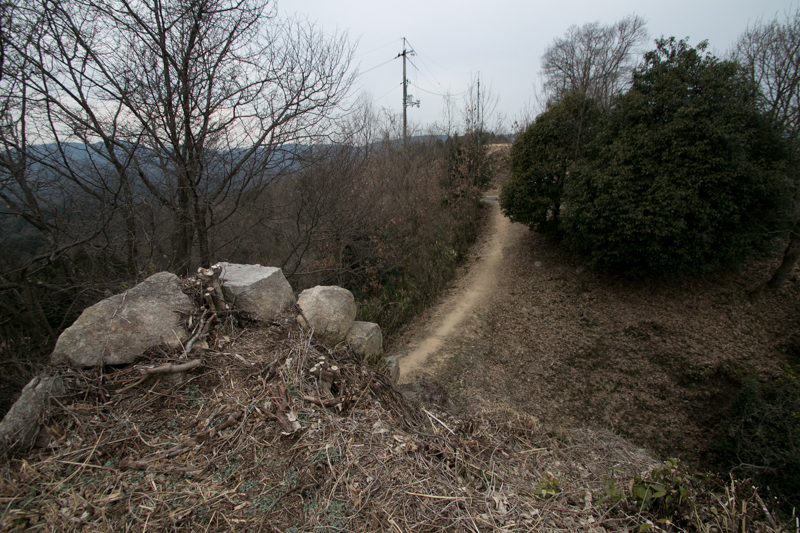 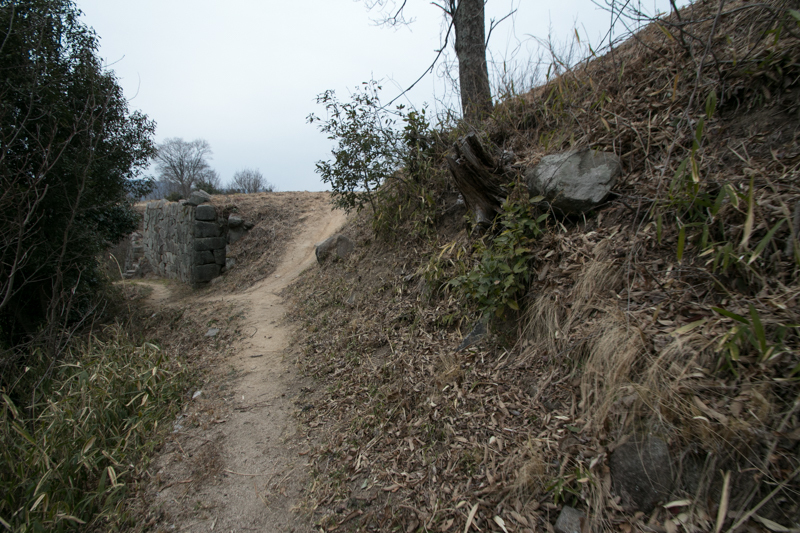 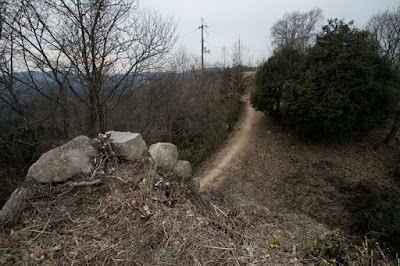 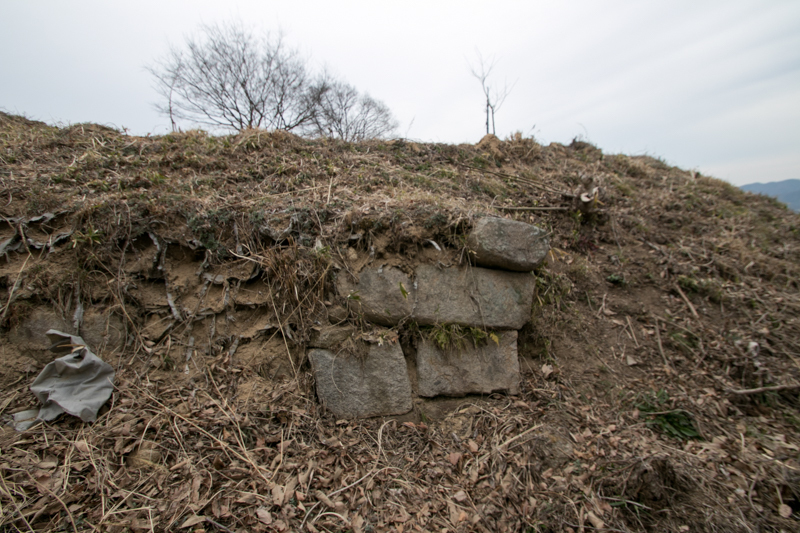 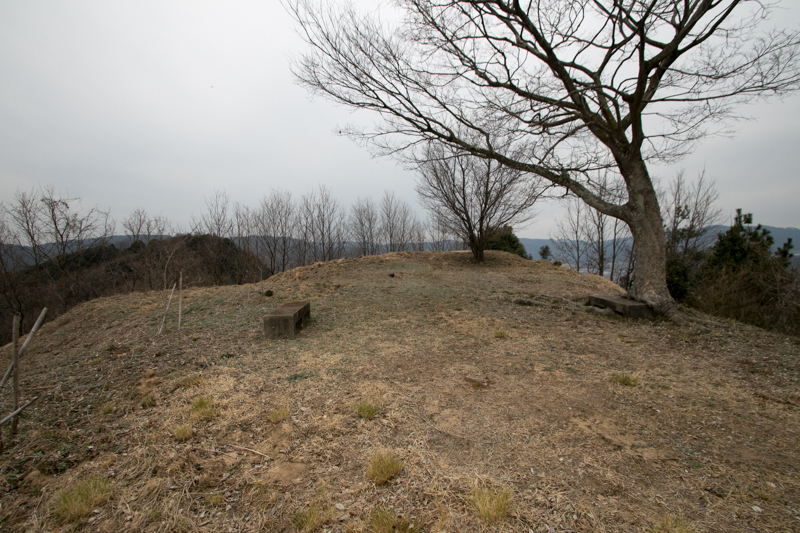 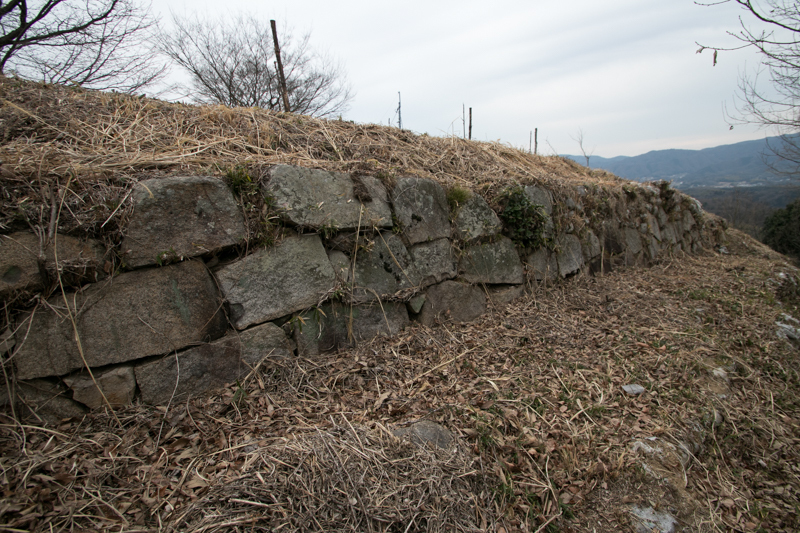 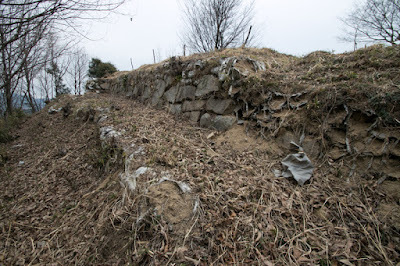 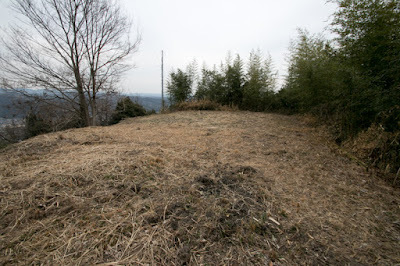 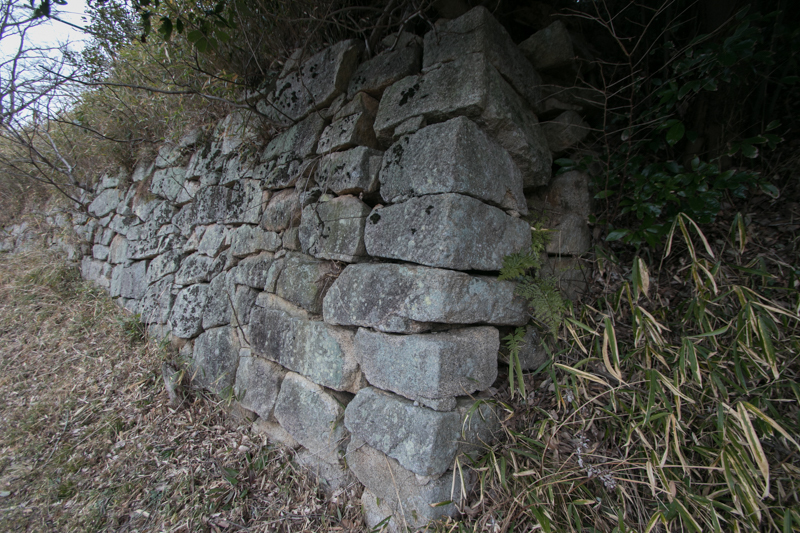 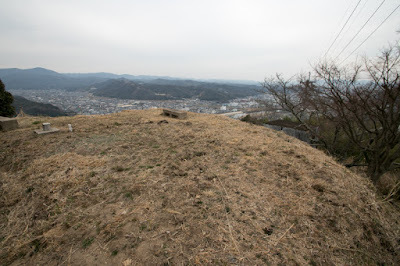 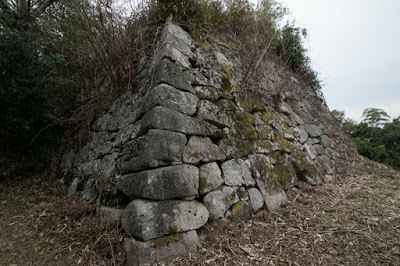 Existence of original buildings built before 1600 is rare, and this point is a value of Sagata castle along with splendid stone walls at the hilltop area. Note that a narrow road is connected to the hilltop area but only small cars can pass it. It is strongly recommended to walk up to the castle.